Team owner Chip Ganassi confirmed this week that veteran driver Jamie McMurray won’t be returning to the No. 1 Chevrolet next season. Ganassi plans to offer McMurray an advisory role with the team, similar to that of Dario Franchitti on the IndyCar side of the equation. 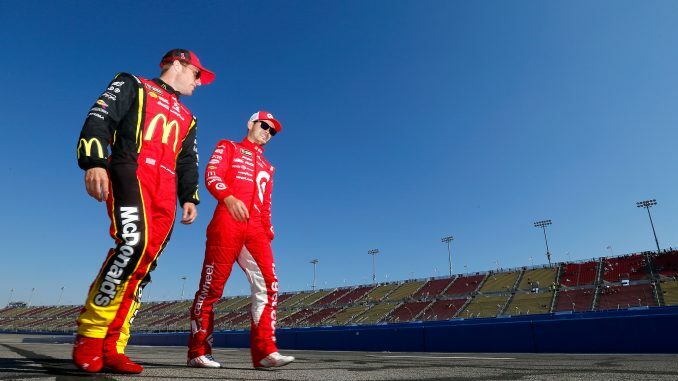 Ganassi driver Kyle Larson says McMurray’s exit will leave a large void to fill, from a personal standpoint. “I think you always care who your teammate is, for sure, and I have enjoyed having Jamie for my whole Cup career,” Larson said. “He has been such an amazing friend and teammate, and he has taught me a bunch on and off the track. McMurray isn’t the only silly-season casualty this year. Kurt Busch, driver of the No. 41 Stewart-Haas Racing Ford, remains unsigned for next year and has been touted as a possible replacement for McMurray. Roush Fenway Racing team owner Jack Roush also confirmed on SiriusXM NASCAR Radio that this season will be Trevor Bayne’s last in the No. 6 Ford. Roush said he is talking to several possible successors but wouldn’t elaborate. Ryan Newman, who missed the Monster Energy NASCAR Cup Series Playoffs this year and announced Saturday afternoon that he is leaving RCR at the end of this season, nevertheless stormed to the top of the speed chart in Saturday morning’s practice session at Las Vegas Motor Speedway. 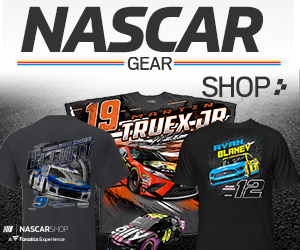 Newman ran 183.892 mph to outpace Playoff driver Ryan Blaney (183.268 mph). Showing speed for the second straight week, Clint Bowyer had the fastest consecutive 10-lap average (181.010 mph). Pole winner Erik Jones was second in that category at 180.841 mph. Jones jumped to the top of the chart in final practice, running a lap at 181.251 mph to edge Blaney (181.238 mph) for the fastest lap. Playoff drivers occupied 10 of the top 14 spots in Happy Hour, including the top four. Jimmie Johnson continued to struggle in final practice, posting the 24th quickest lap at 177.521 mph, an ill omen for a driver who enters Sunday’s South Point 400 (3 p.m. ET on NBCSN, PRN and SiriusXM NASCAR Radio) seeded 15th with no Playoff points.